Shinhan Financial Group is gearing up to raise 400 billion won ($357.5 million) through debt funding in its move to take over ING Life Insurance Korea. If Shinhan manages to raise the capital through hybrid tier-1 contingent convertible (CoCo) bonds as pledged on Friday, this year it will see its capital increase some 1.1 trillion won. In March, Shinhan Financial Group issued 150 billion won worth of won-denominated hybrid CoCo bonds to local institutional investors. Also in August, $500 million worth of dollar-denominated hybrid securities were issued to foreign investors, after Moody’s Investors Service in May assigned Shinhan Financial Group an A1 long-term foreign currency issuer rating and a Prime-1 short-term rating. The move comes as Shinhan Financial Group aims to buy shares in ING Life Insurance, of which 59.15 percent is currently owned by private equity fund MBK Partners. On Aug. 14, Shinhan Financial Group Chairman and Chief Executive Cho Yong-byoung told the press that the group had “set its sights on ING Life Insurance Korea acquisition.” Cho did not elaborate on pricing or other details. MBK Partners has priced the 59.15 percent of ING Life Insurance Korea shares, plus the control premium, at 2.4 trillion won, while Shinhan Financial Group estimates their value at some 2.2 trillion won. If the company succeeds in increasing its capital as planned, it is expected to spend the 1.1 trillion capital plus liabilities. 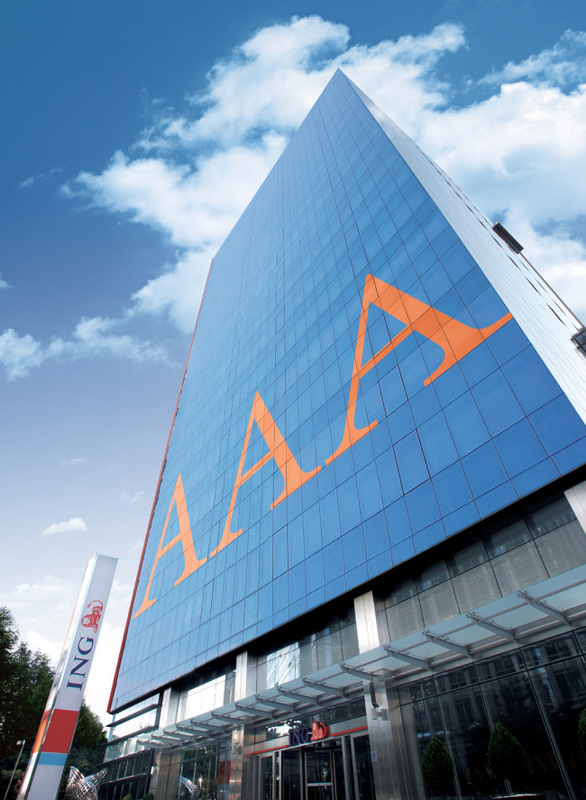 ING Life Insurance Korea was formerly a Korean unit of ING Group, but in 2013 it was announced that it had been sold to MBK Partners in a 1.8 trillion won deal. At that time, there was a gap of some 1 trillion won between buyer and seller in terms of estimates of the insurance firm’s embedded value. Meanwhile, Shinhan’s move is also seen as a way for the bank-holding company to lower the double leverage ratio. A higher double leverage ratio translates into a higher level of investment by a parent company in its subsidiaries. The Financial Supervisory Service advises Korean financial holding companies to keep the double leverage ratio below 130 percent to prevent the companies from being over-leveraged. Shinhan’s ratio was 122.7 percent as of June, but will shrink to the relatively safe 117.3 percent if Shinhan manages to increase its capital as pledged in August. Shinhan Financial Group, which owns 14 subsidiaries including a bank, a card company, a brokerage and a life insurance company, has sought to dwarf local competitors -- KB, Hana and Woori -- in terms of total capital and to diversify its financial businesses. Shinhan’s total capital came to 453.3 trillion won as of end-June, making Shinhan the second-largest bank-holding financial group, superseded only by KB Financial Group with 463.3 trillion won.